"Every woman who is struggling to understand the mistreatment she is experiencing in her relationship should begin by reading [this] wonderful book. "* When Love Hurts can help answer your questions about whether you are experiencing abuse from a partner or unsure if your damaged relationship can be fixed, using exercises and resources to help you identify and address all forms of abuse including verbal, emotional, financial, sexual and physical. This practical guidebook is a supportive and non-judgmental resource for women who have been in your position of feeling powerless and confused. 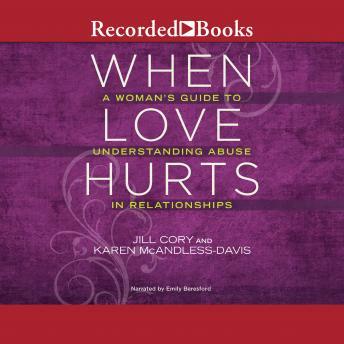 Authors Jill Cory and Karen McAndless-Davis, with their decades of experience in supporting women with experiences of abuse, offer their insights and share stories from women to help you make sense of your relationship.